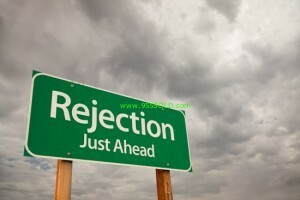 Realty Professionals 805-474-7040 Rejection and How to deal with it! by Kevin Jones. 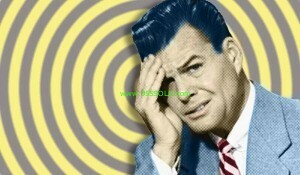 In Real Estate and any other Sales for that matter as Salespeople deal with this on a Daily basis. It is a repetitive occurrence, over and over again. For many this is the death of Sales for them as they, as the Salesperson, do not know how to process, they don’t understand how valuable this occurrence is and how to use this to continually create more success time after time again! 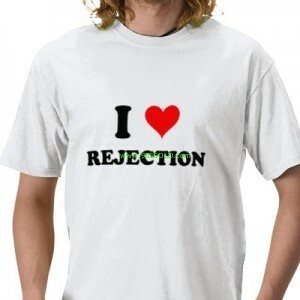 Should the feeling of Rejection be a Negative feeling? Well … that depends. What do you consider Rejection and “Who” is it coming from. So lets “Qualify” rejection itself. 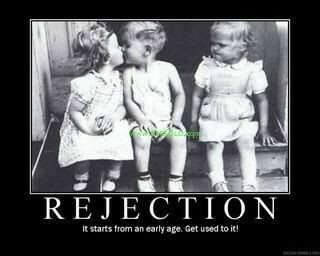 What do you consider “Rejection”? What are the circumstances in which you will consider an event, something someone said, etc. be “Rejection” in your mind. You see everything in life is “Perception” based upon other events, training, education or influence of others that determine what we feel based upon life events. A life event is every time you pick up that phone and call a prospect, every time you meet a client in person and believe it or not text and email as all of these forms of contact can make or break a sale in many cases. 1.) 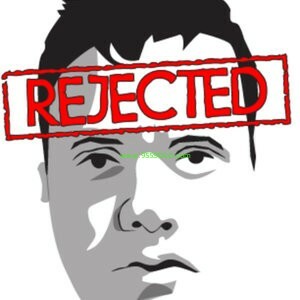 What do you consider “Rejection”? think of an event that you can recall you can consider as “Rejection”. 2.) What were the event(s) surrounding this “Rejection”? 3.) 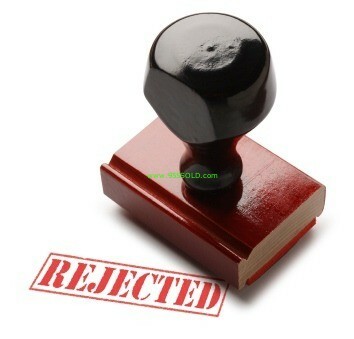 Why do you feel compelled to consider this “Rejection”? 4.) What did you do Negatively to “Create” this Negative response? 5.) How well do you know this person that rejected you? 6.) How long has this person been a part of your life? 8.) How would your life be different without this person in your life? 9.) How is this event going to affect your future? 10.) Are you still a great person? Someone near and dear to me, my spouse, my children, a close relative (that I love) or a close friend (not acquaintance) hurts or harms me physically or verbally in such a way that creates enormous pain. Someone I may or may not know, including telephone prospecting delivers a verbal or physical response to my interaction with them. This may be something said, a gesture, in the tone of their voice, etc. Let’s use a few examples, Telephone: You (blankety-blank) what the (blankety-blank) are you calling here for you (blankety-blank) … Door knocking: What the (blankey-blank) are you knocking on my door you piece of (blankey-blank) … there are hundreds of examples I could give you where I have been Verbally attacked when all I am trying to do is my job. Does it really matter what they think of me? No. Am I going to let them take me off my game. No. Would I want to do business with them? No. Would I want to be their friend? No. So how do you handle “Stuff” like this? Easy. ”Thank you very much have a Wonderful day” say it with a with a smile. Not an evil grin, not smirking because that will just fuel the fire for more negative interaction! An honest and sincere smile. Then personally I take a brief second or two and say a quick prayer for them and wish they are delivered some peace and happiness into their life today. You don’t have to be a Church going devout person to a dedicated faith to be a well wisher and to bless someone else peace and happiness. The one thing it will do is bless more peace and happiness within you because you are not stuck on the negative feelings inside you, as long as you are sincere from deep within. I have had people blast me, rip me up one side and down the other. I thank them with a smile and leave gracefully. It is funny how many call back or walk down the street, find me and apologize to me. Maybe they are having a bad day, maybe you interrupted them and distracted them from their much needed concentration, maybe you woke them from a much needed sleep or rest … the idea is to not take Business interactions in a personal manner or buy into “Their Drama”. Another technique is knowing exactly how much every telephone call or door knocked is worth. By tracking your numbers you know that it takes (X) amount of calls to equal a closed transaction. Each transaction is worth (X) amount of dollars. Divide the amount of dollars by the amount of calls and you will have what each call is worth to you! So someone is incredibly rude to you over the phone. One of my typical responses is: “Thank you very much you just made me (X) amount of dollars, have a Wonderful day” and hang up nicely. I get at least a 50% call back on this “What do you mean I made you (X) amount of dollars”? So I quickly explain it to them and ask them again the qualifying question, do they need to or have thought to buy, sell, rent or invest? If not have they heard of anyone talking about Buying, Selling, Renting or Investing? Remember … this is a numbers game, you will have your Wonderful people that are pleasant and fun to talk to, you will be blessed with your annoying people, you wil be given the opportunity to have the rude people and you will be tested on your skills with the talkers. It is all apart of the game or the Big Picture, Taking care of the client. Do they need my service and Do I want to work with them? It is different everyday, it is different every call and at the same time it is all the same. You got to take the good with the bad and not let any of it bother you! Rejection is a feeling you choose to place on an event, choose not to feel it and understand that at that moment the other person did not want your product or service, who cares, there are plenty others that do, its all in the numbers! If you get into a routine, the same thing each day at the same time, it will just become habitual. It will just become a part of what you do and it is easier to be thick skinned for a particular part of the day, every day than it is sometimes in the morning, other times in the evening and other times in the afternoon. Mentally this will help counter the feelings of Rejection through the process of conditioning and expectation. Make it a game. Play a game within yourself. Maybe something like “I will continue to close each person I speak with on the phone until I get the appointment (pre-qualified) or they hang up on me”. This works best when it is scripted on warm leads that you know already need your product or service. 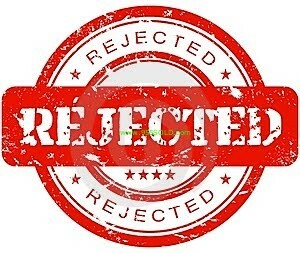 This is a Rejection game solely based upon providing the Maximum Rejection but also the Maximum Effectiveness and Leads! Be emotionally unattached in Business. When you are “Attached to the outcome” of any business endeavor you will create more ups and downs along the way. Lets admit it, too many many people bring Way Too Much Drama into Business for absolutely no reason whatsoever. With less attachment, things just go more smoothly. Enjoy the process, always focus on selling from Inspiration, not Desperation! If you are trying to sell because YOU have to, you are not serving the client! Want less rejection, put the clients needs before your own! Perception is another aspect. Remember that your Reality is only a figment of your imagination and perception. The other person has their own illusions to what is going on in that moment which often times is not the same to what you are experiencing. How do you know what it is they are feeling? You have got to ask more questions and confirm what you speak about. Many times upset is caused through not communicating enough. Ask questions, want to understand, listen and be patient, this will allow a better experience for the client and allow them to reject one less salesperson … you! Importance is another factor. What is most important? Who is most important? The client, their needs and their experience should be the Top Priority of yours as you are the Salesperson. You are the person who will make or break the transaction on all levels including the delivery of the product, the feelings they have after the sale and whether or not they were on an emotional roller coaster during the process. Remember, you are the salesperson and you must be in control, the more you are in control, the less rejection you will face and the more the client will have a more positive interaction with you! Hopefully these will be tools that will help you become less susceptible to the feelings of Rejection as there honestly and truly is No Rejection in business if there is No Emotion in Business. So if you are feeling Rejection in Business the question to ask yourself is why am I bringing my emotions and drama into this business transaction? Acknowledge it, Accept it, Remove it and be Proud of creating more Business Maturity into your life! Kevin Jones is the Broker of Realty Professionals and has offices in Burbank and Pismo Beach California. If you are looking to Buy, Sell, Rent or Invest in Real Estate or are interested in Career Opporunities … Call today 855-955-SOLD (7653). Next post: Burbank Duplex Funds Today!